What are SEL programs and why do they matter? It is wonderful to have all our students back on campus and to see everyone so eager to learn. 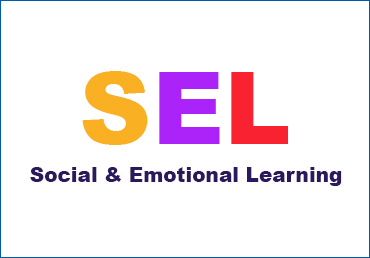 Over the holiday break, I was researching Social Emotional Learning (SEL) programs and came across research that supports the use of curriculum that specifically addresses the social emotional needs of children K-12th grade. The research, 82 studies, were analyzed by Berkeley’s Greater Good Science Center. The studies compared students that participated in curriculum that promoted social emotional learning to those students who did not participate in curriculum that promotes social emotional learning. The results from the studies showed significant benefits for children participating in social emotional learning programs that persisted years following the studies. Here’s the benefits as stated in the results. 1. Social and emotional skills, such as identifying emotions, resolving conflicts and decision-making skills were significantly higher. 2. Improved attitudes toward self, others, and school. 3. An increase in positive social behaviors, like cooperating, helping and problem-solving. 4. Higher grades and achievement test scores. 5. Fewer conduct problems, including violence, bullying, and classroom disruption. 6. Lower levels of depression, anxiety, and stress. At Clariden, we work with our students at all levels across our program on their social emotional development. This encompasses a variety of curriculum all of which is geared toward being age appropriate for each level. Next week, I’ll share specifics of what we teach to promote our students’ social emotional development and the challenges that we face, as their educators, in doing so with students who enter our program later in their development. It’s no secret within the corporate world of the significance of having good social emotional skills. The work of Daniel Goleman on leadership solidifies that social emotional skills (specifically EQ-emotional intelligence) is essential to being an effective leader – More essential than one’s IQ.